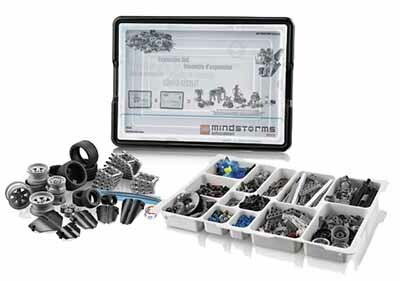 This core set is optimized for classroom use, with 2 learners per set, and contains all you need to teach using the exciting LEGO® MINDSTORMS® set, including the full software for both PC/Mac (Tablet-based software is expected by mid-2016). 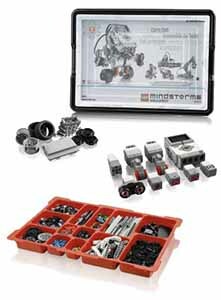 This set enables students to build, program and test their solutions based on real life robotics technology. It contains the EV3 Intelligent Brick, a small, powerful, computer that makes it possible to control motors and collect sensor feedback. It also enables USB, Bluetooth and Wi-Fi communication as well as providing programming and data logging - great for testing scientific hypotheses! Instructions for the models are included in the software. The battery charger is sold together with the set.